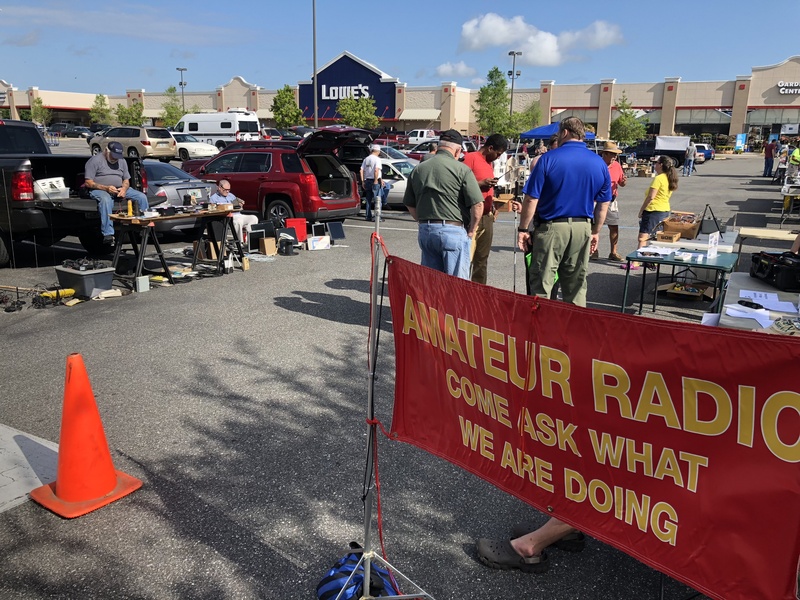 The WestVARS 2019 Swap Meet will be held on April 6, 2019, from 8am to noon, in the parking lot of Lowe’s in Deland. There is no charge to sell items at the swap meet, but items must be ham radio related. We are currently investigating potential locations. If you have a suggestion for a summer field day location, please email it to info@westvars.org. The Saturday breakfast gathering will be at Denny's which is located at 1206 N Woodland Blvd, Deland, FL 32720 going forward. Meet up at 9am, have breakfast and talk about Amateur Radio! The West Volusia Amateur Radio Society (WestVARS) was founded in 1982 and has been continuously active since then. We are an ARRL affiliated club and we offer a wide range of Amateur Radio activities, as well as licensing test sessions every other month. Our monthly meetings are held on the fourth Tuesday of each month at the DeLand Elks Lodge at 614 South Alabama Avenue, DeLand, Florida 32720. The meeting location is directly across the street from the Earl Brown Skate and Bike Park. Meetings start at 7:00 PM. Show up early at 6:30 for some fellowship with your fellow Amateur Radio operators. WestVARS holds three weekly radio nets every Wednesday night. (WestVARS). Please click here for a membership application.